On its third-quarter conference call, Canadian Tire officials indicated that Helly Hansen, acquired in early July, is off to a “good start” with its integration process and should find a bigger presence across the company’s Canadian stores by mid-2019. They also laid out plans for Sport Chek to re-merchandise departments by categories instead of by brand, expand private labels, and improve inventory productivity. Companywide, Canadian Tire increased its quarterly dividend to C$1.04 per share, up from 90 cents previously, due to a solid first-quarter marked by strong topline growth in both its retail and financial services businesses as well as profit gains despite numerous investments. In the FGL segment, led by Sport Chek, sales grew 1.6 percent to Canadian $528.5 million. Comps at FGL grew 2.2 percent in the period, marking return to growth after comps slipped 0.3 percent in the second quarter. The segment also includes Hockey Experts, Sports Experts, National Sports, Intersport and Atmosphere. FGL’s sales were helped by a strong back to school selling period and favorable seasonal weather in western Canada. On a conference call with analysts, Allan MacDonald, EVP, retail, said the gains from FGL’s gains were led by a “solid performance” of outerwear, clothing accessories and athletic apparel. 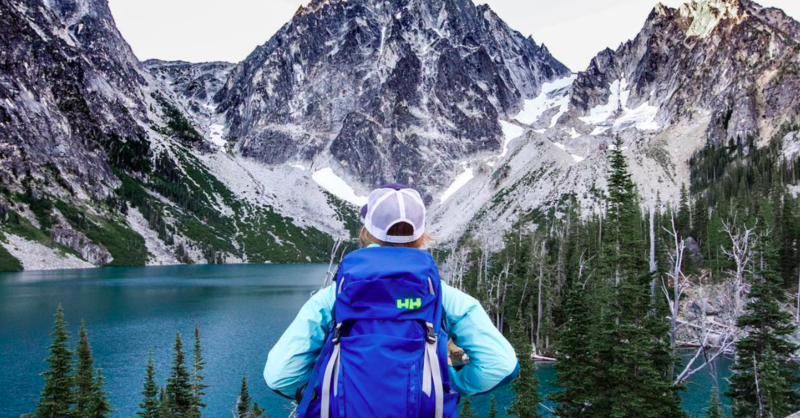 The FGL segment also saw “strong growth” in its own brands portfolio, which grew by 20 percent in the quarter, driven by Helly Hansen, Woods and Ripzone. As a result, one priority is to make Woods and other owned brands a priority for Sport Chek this holiday season. The Woods outerwear line was rolled out to 194 Canadian Tires stores this year and the reception has been better than expected. Also, by mid-November, Sport Chek will be reorganizing its athletic and outwear departments by category instead of brands currently. More than 75 percent of the chain will be transformed, representing over 1 million square feet. The changes will also include “some subtle but meaningful” assortment changes, including more of a focus on accessories, new categories like kids, and increased depth “in categories were trying to be famous for in both national and owned brands,” said MacDonald. Canadian Tire officials also noted that the FGL’s segment’s inventories “continue to run well below” prior year’s levels as a focus has shifted to improve productivity levels. The results of Helly, acquired on July 2, were included in the company’s Retail segment results for the first time in the quarter. Helly had EBITDA of C$25.2 million on sales of C$181.7 million in the period, including C$25.2 million in sales coming from Canada. MacDonald said that with lengthy product cycle times, Canadian consumers should expect to find a noticeable increase in Helly offerings by mid next year in both Sports Check and the Canadian Tire flagships as well as at Mark’s workwear chain since Helly has a large work offering. Companywide, consolidated revenue at Canadian Tire increased 11.2 percent to C$3.6 billion. Excluding Petroleum, consolidated revenue increased 10.4 percent, primarily due to the inclusion of Helly’s revenue, continued receivables growth resulting from higher revenue for the Financial Services segment and strong revenue growth at Mark’s and Canadian Tire. Overall comps were up 2.5 percent with Canadian Tire up 2.2 percent and Mark’s ahead 6.1 percent. Consolidated retail sales increased 4.4 percent, in the third quarter. Excluding Petroleum, consolidated retail sales were up 2.6 percent over the same period last year. Net income increased 16.5 percent to C$231.3 million, or C$3.15 a share, from C$198.5 million, or C$2.59, a year ago. Normalized earnings climbed 27.2 percent to C$224.6 million, or C$347, from C$176.6 million, or C$2.59, a year ago. Normalizing items in the latest quarter exclude costs of C$22.4 million tied to the Helly acquisition. Consolidated adjusted normalized EBITDA increased by 14.8 percent in the quarter.